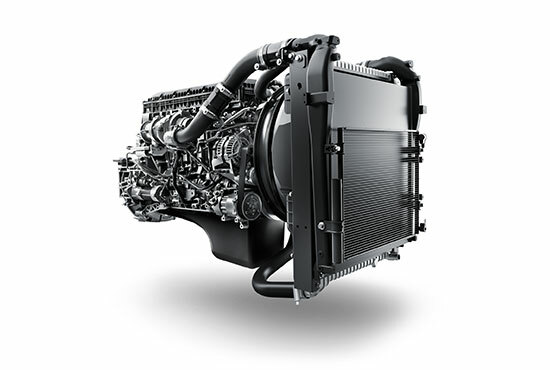 The GH8E is based on UD Trucks’ GH7 engine, which has established a good reputation for its performance and fuel consumption. The GH8E offers excellent performance and is ideal for distribution and construction work. The GH11E was developed to provide the best possible performance in actual operation. 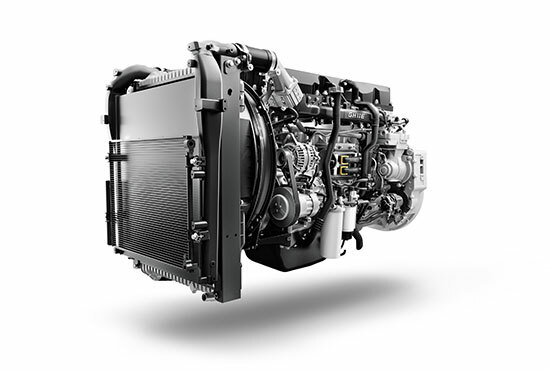 It is based on advanced Volvo Group technology in combination with UD Trucks’ manufacturing quality. 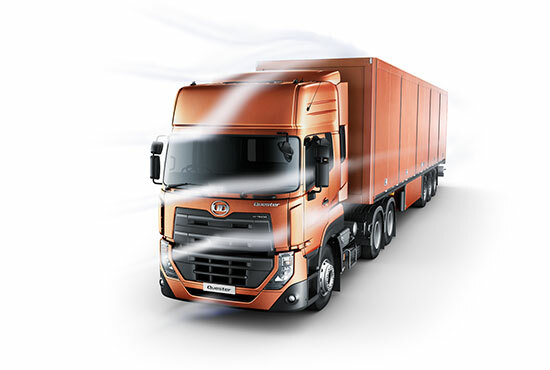 The low fuel consumption is due to the wide rev range with high thermal efficiency. Minimizing aerodynamic drag is important since it decreases the wind resistance, leading to better fuel consumption. To reduce drag Quester has the option of fitting roof and side air deflectors. In addition the on-road cab comes as standard with side air vents which also keep the dirt of the side of the cab. 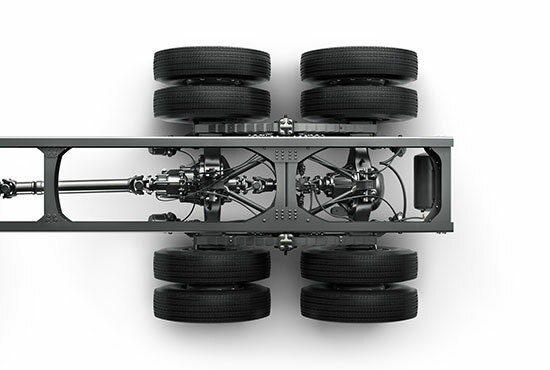 Quester has a wide range of different product types such as 6×2T and 8×4R which combined with well dimensioned components and axles offers high GCWs and GVWs. This maximizes the payload and reduces the fuel consumption per ton carried. Quester comes with a real-time Fuel Coach. The display shows the driver when to shift, brake or accelerate for maximum time in the engines optimum fuel efficient rev range, the so called sweet spot The system is simple to understand and easy to use. 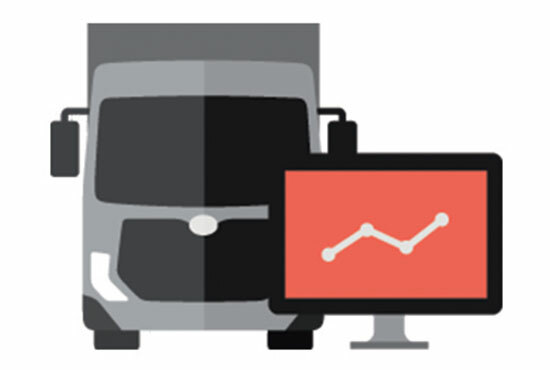 Quester’s Fuel coaching system is equipped with a telematics system that stores trip data such as distance traveled, fuel consumption and engines operating time in the optimum rev range. 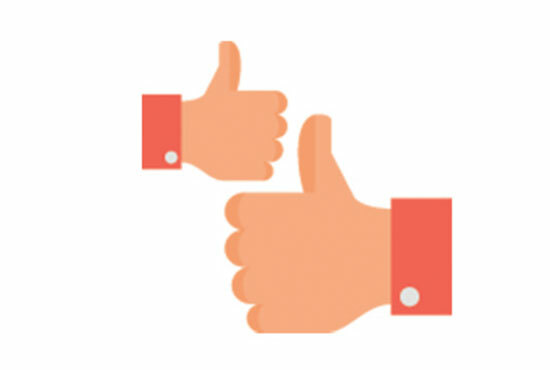 Download data and review the logs to improve your transport efficiency even further. 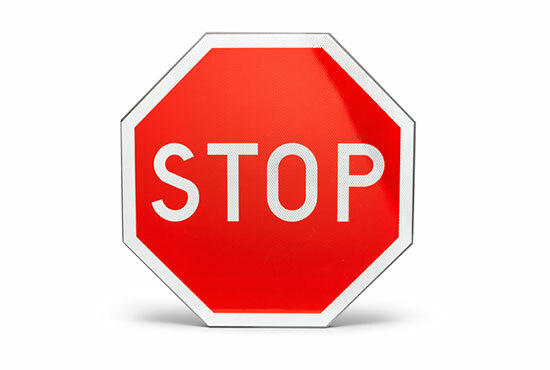 Maximum road speed is one of the most important factors with regards to fuel economy. Quester can be ordered with a set speed limiter which can help you reduce fuel consumption by an additional setting in the display.